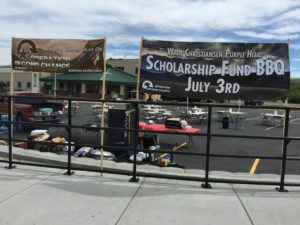 Home / Uncategorized / Barbecue Fundraiser a Huge Success! 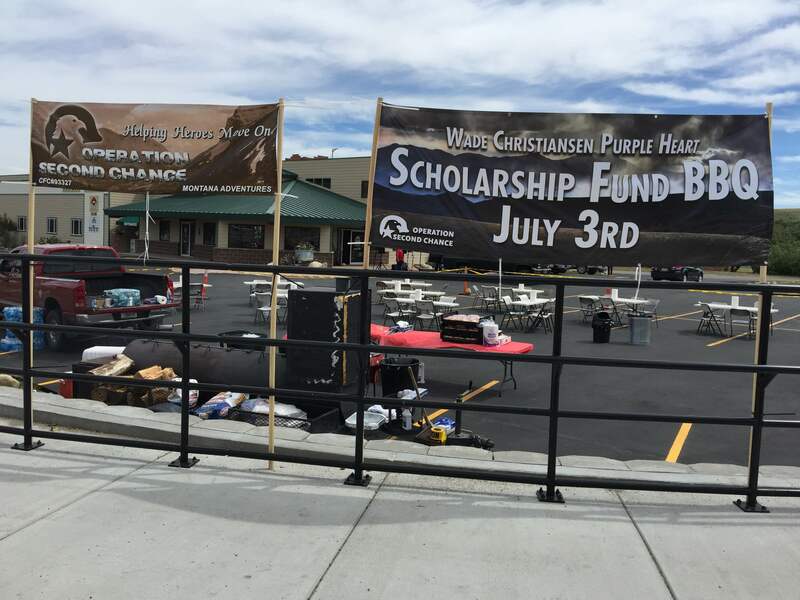 The fundraiser barbecue in Red Lodge on July 3rd was a huge success! An estimated 400 guests gathered throughout the afternoon to enjoy great food, great music, and great friends to benefit a great cause. Through volunteer work from Operation Second Chance, and the generous efforts of Steve and Debbie Mikels and their daughter, Kathleen Russo, the event raised over $4,500 for the scholarship fund! The family sacrificed their personal holiday time to organize an event that benefits the community and preserves Wade’s memory – for that they deserve the utmost gratitude. The Red Lodge community showed its generosity and 100 percent of funds donated will benefit veterans and military families at Montana State University. Additional thanks to Daniel Kosel for providing great live music throughout the afternoon! The event was such a success we hope to make it annual – stay tuned and perhaps we’ll see you again next year for the Fourth! Thank you Red Lodge!